Second day was free and easy. We hiked to the Aryapala Meditation Centre from the ger camp. We wanted to take a shortcut to the camel rock but then were warned by the neighbor that he didn’t tie up his dogs. Mind you, the dogs here are way bigger and way fiercer. So better burn up the calories then having rabies. While we were making our detour, suddenly came a moggie running and followed us around. It was so playful and cheeky, running around and climbing up trees! It made the long hike a bit bearable or else I’d be panting and grunting all the way through. It sent us to the Centre and waited for a while but after we got to the peak we heard some dogs barking. And when we got back to the entrance, it was no longer there. I guess the wild dogs chased it away. The long hike was worth it. The scenery, I should say is to die for. 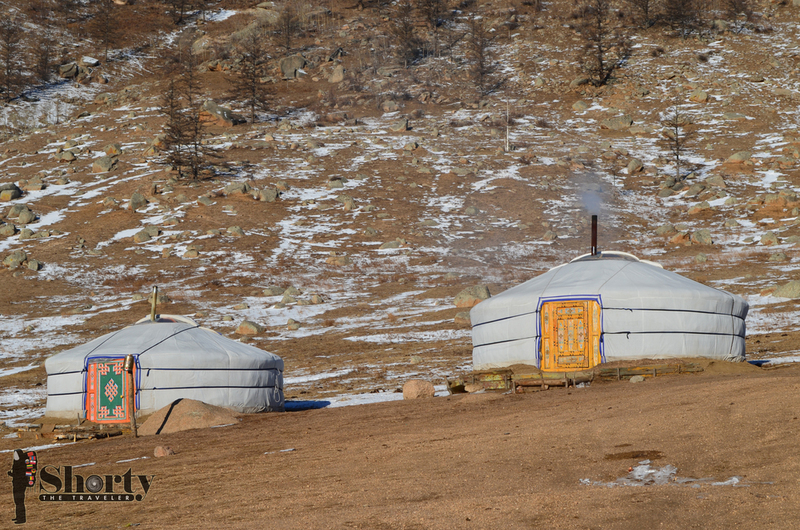 If you happen to travel to Mongolia, then Terelj National Park is a must. Stop complaining about the Meditation Centre being locked up or lack of maintenance whatsoever. Do it for the scenery and the serenity. When I got to the peak, it was almost noon. We just sat, enjoyed the sun and chatting away. The best way to soak in the beautiful panorama! I suppose my photos wouldn’t do the beauty justice but hopefully it gives you the idea. Till then, ciao!